If you’re a Legion or Fargo fan — if not, who even are you? — you know how groundbreaking a creator, showrunner and writer Noah Hawley is. So when you hear he’s got another project in the works, I presume your brain starts its version of salivating, just like mine did. As Charlie McDowell (The One I Love, Dear White People, Silicon Valley) related to Coming Soon, Hawley brought Don DeLillo’s Zero K to his attention, and along with McDowell’s writing partner, Justin Lader, they’re adapting the novel to a limited series for … you guessed it, FX. 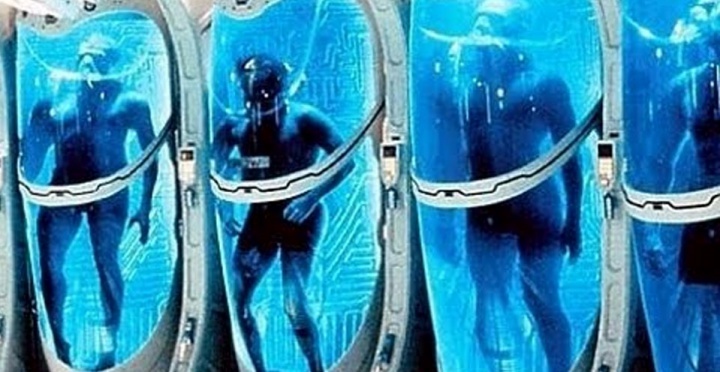 Published in 2016, Zero K is the story of an older billionaire, Ross Lockhart, who along with his younger wife, Artis, looks into having their bodies cryogenically preserved for a future where they might be able to continue their lives together. Narrated by Ross’ son Jeffrey, the story follows the Lockhart’s trip to Convergence, the Asian facility that will house the couple’s frozen bodies for the foreseeable future. Annnnnd, commence the Kindle download now. Interestingly, McDowell and Lader also have another (kinda sorta) life extension related project coming out on March 31st. The Discovery stars Rooney Mara, Robert Redford, Fargo‘s Jesse Plemons, Riley Keough and Jason Segel, and features Redford as a scientist who discovers there really is an afterlife. Next story Channel 4’s Great British Bake Off JUST. GOT. INTERESTING.